FPA Rheumatology (New York) - Book Appointment Online! At the Rheumatology Faculty Practice, we treat patients suffering from the full range of rheumatic disease and related disorders. These include rheumatoid arthritis, systemic lupus erythematosus, osteoarthritis, Raynaud’s disease, other connective tissue disorders, crystal deposition diseases such as gout and pseudogout (pronounced soo-doe-gowt), and complications from inflammatory bowel disease (IBD), chronic renal failure, and diabetes. 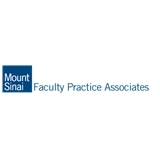 We frequently work with colleagues in other specialties at Mount Sinai to manage the care of patients who suffer complications that may affect other organs and systems. In our rheumatology practice, we routinely treat patients using the latest technical developments, and we are constantly performing research into rheumatoid diseases. We consult regularly with colleagues to ensure we are providing the best, as well as the latest, care. Very patient with me. I have a long medical history with lots of drama from previous physician.